Click here for the video of ancient Shaolin kung fu and monk of Temple. Tracing back as far as 1500 years ago, traditional Shaolin martial arts originated from the Shaolin Temple. 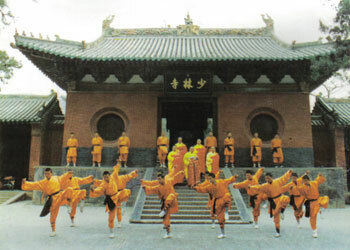 In fact, Shaolin kung fu received its name from the nearby Shaolin Temple. The Shaolin Temple is situated at the foot of the beautiful Song Mountain in Dengfeng City, Henan province. According to records, in the year 495 during ancient China, emperor Xiaowen of the Beiwei Dynasty, built this Shaolin Temple for Indian missionizing monk, Batuo. He had the temple built at the foot of Song Mountain. 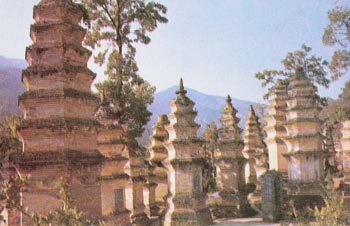 Because of this, the temple is also referred to as Song Shan (song mountain) Shaolin Monastery. It is said that in the year 620, Li Yuan and Li Shimin fought against the emperor of the Sui Dynasty Wangshichong in Luoyang city. During the crucial time of the battle, TanZong led the Shaolin warrior monks to arrest Wang Shichong's nephew Renze and sent him to the Tang.. 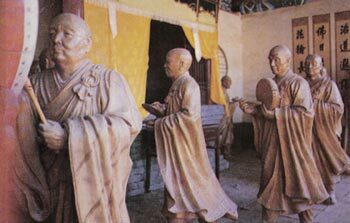 He appreciated the monks’ help after Li succeed, and Tan Zong was awarded General. 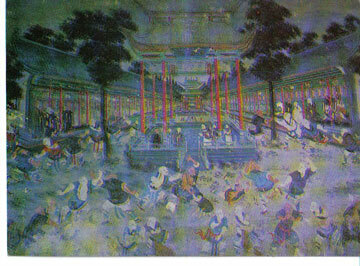 It was with this battle that the Shaolin warrior monks were given the opportunity to make Shaolin kung fu a successful form of martial arts..
During the Northern Song period, FuJu, abbot of Shaolin Temple, invited many well-known martial artists to the Shaolin Temple to share each other’s skills, knowledge, and to study. There are thousands of Shaolin monks in the temple from whom you can learn Shaolin Kung fu. In the Ming Dynasty, the Shaolin were becoming more famous for their martial art capabilities. Aside from martial arts, their weapon (the Shaolin Stick) played an important role. It is written, “Stick is the ancestor of all martial arts and Shaolin is the cradle of the stick”. In the current Shaolin Temple, you can still see forty eight deep foot prints left by Shaolin monks during the hard training in Qian FO DIAN( thousands statue of the Buddha Temple). From 1912-1949, war was common and having a negative effect on the land. 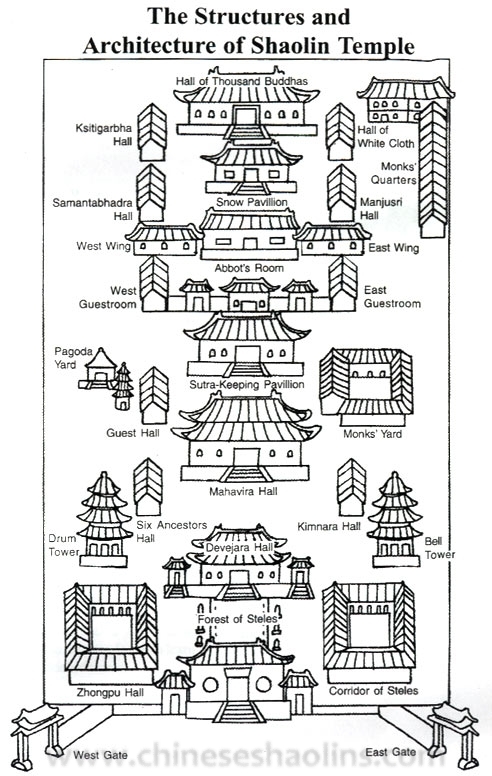 One notable occurrence was the fire that destroyed the Shaolin Temple. This one month event severely damaged all of the cultural representation of the monks. Everything from relics to written scrolls were destroyed or damaged. Thanks to the Chinese government and their investment into rebuilding the culture, the Shaolin Temple was rebuilt and started a brand new life. From this new beginning, a rebirth into Shaolin Kung fu was born. 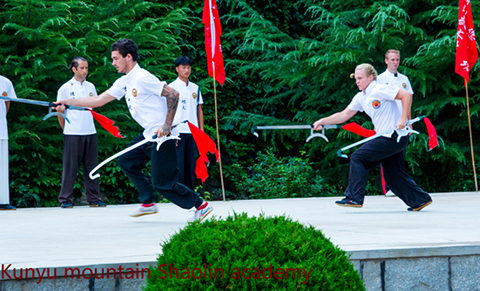 Our temple’s shaolin martial arts masters and warrior monks will normally undergo intense training. 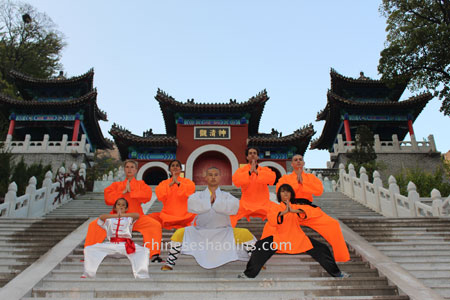 Our temple’s shaolin martial arts masters and warrior monks will normally undergo intense training. This is not only important in creating resilience, but also bringing out the importance of having mental, spiritual and physical harmony. Shaolin Shaolin kungfu has rich history filled with vast amounts of content and a unique style. Much of it defines China Shaolin Kung fu as a form of boxing. 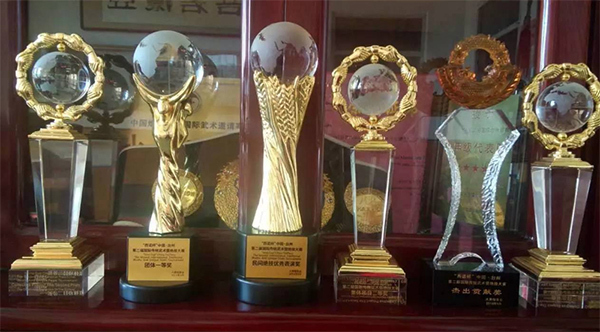 Though short, Shaolin kung fu sets and conformation arevery strong. 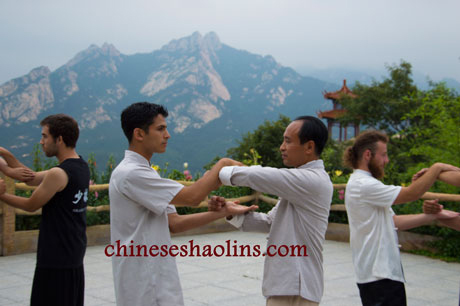 The up and down movements are always in a line during Shaolin kung fu exercises. Shaolin Boxing masters believe that two people in a fight are only apart for small paces. Since victory or defeat is a matter of seconds, the linear movement is the most effective way to practice and exercise Shaolin kung fu Boxing..
Shaolin kung fu skills and power can be displayed anytime and anywhere regardless of the size of the field. 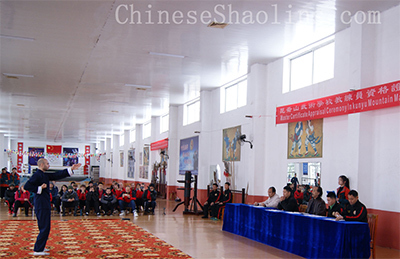 It is important to understand the theoretical part of the kung fu boxing if you are interested in the martial arts. The movements are rapid, forceful, and full of energy. This simply means “ To start boxing with bombards, defeat the enemy without any letup”. The rapidness is in a thousand boxing movements”. 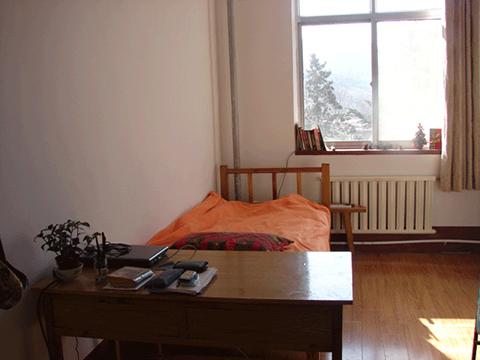 During routine drilling, several movements must be finished in a coherent and rapid manner. This helps to build speed. A firm form is the main focuses in Chinese Shaolin kung fu Boxing. 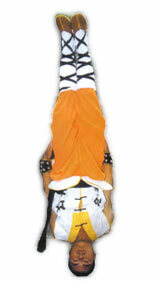 However, flexibility is also emphasized in this martial art. Flexibility follows firmness. “Moving like the wind and be able to stand like a peg””. There are 708 forms and techniques that you can learn in Shaolin training. Shaolin kung fu consists of forms, weapons created by the warrior monks, skills, joint locking, understanding pressure points, iron sand palm and much more. Additionally, there are 72 other more famous Shaolin kung fu techniques such as leopard form, monkey style, 5 tigers goat staff, and much more.Some of the weapons are: 13 famous spear, 27 famous spear, 33 famous spear, Six he spear,Yang style spear, Luo style spear. Shaolin single Broadsword, Mei Hu Broadsword, Chan Tou, Gun Tang, Qian Kun, Seven star sword, Baxian sword, etc.are weapon: tiger head hook, nine-sections whip, Shao Zi staff, dart, shooting star, iron fan, mandarin duck ring, Da Mo cane, and many more. 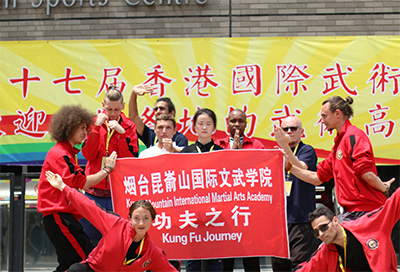 Without a doubt, many people will greatly benefit from learning Chinese shaolin martial arts.If you're interested in discovering shaolin culture in the Kunyu Mountain and learning martial arts, please submit an application today or contact us.